This section deals with several different aspects of the weather but concentrates on past weather conditions of up to a few days or even weeks. Certain weather conditions leave evidence that can be used to determine what has actually happened within a locality even if you were not in that area. It may be necessary to include several observations before arriving at a conclusion. In fact, it can be described as 'weather detective work'. You may have already observed the weather conditions but was not actually certain where it occurred. There are several observations that indicate rain has occurred. Water runoff along the sides of the roads indicate moderate to heavy rain within the past hour or so. This depends of course whether rain is still draining out from drainage pipes linked to households. Large puddles along the side of the road is an indication of previous moderate to heavy rain. Long periods of moderate showers can also create puddles. 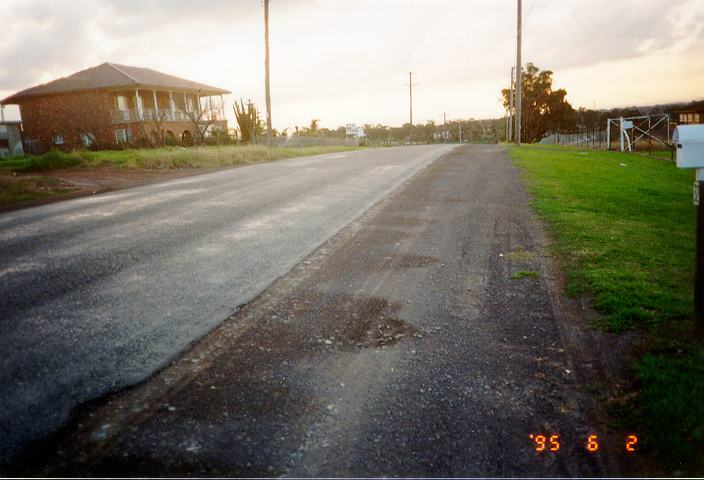 Although roads provide evidence of recent rainfall, an observer must also take into account the slope or curvature of the road. Level roads will always hold more water in puddles whilst roads that slope either from one side to the other or from the centre outwards will always drain water to the side of the road. The type of surface also affects the rate of evaporation. A rough surface will contain more water than smooth surfaces. It is not unusual for water mains to burst spilling water over roads and occasionally flooding houses. 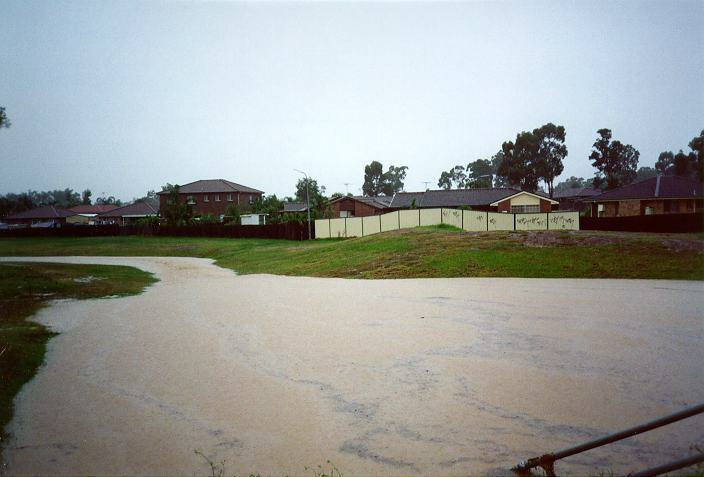 However, it is easy to distinguish recent rainfall from the situation of a burst water main. 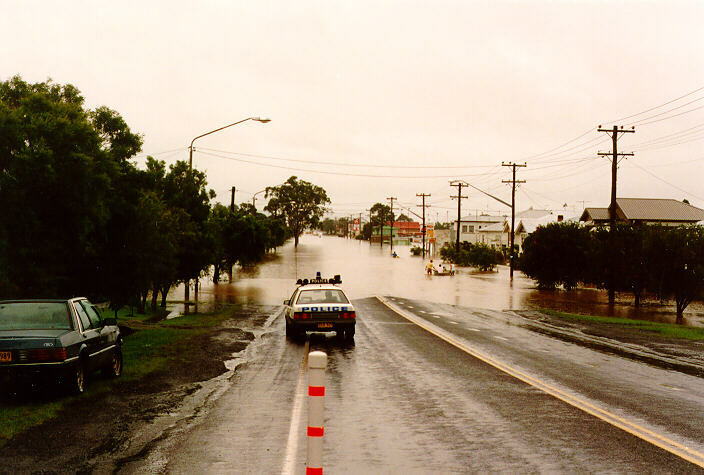 A burst water main normally occurs in one area and water runs downstream from the cause. Recent rain or showers are indicated by consistently wet roads and are more widespread. If you observe trails of wet and dry patterns along the side of the road (and perpendicular to the road), this indicates that there has been some showers or brief rain to heavy rain and water has just started to run off the road when the rain ceased. Continuous wet conditions causes saturation of the soil especially during periods of flooding. This means that the water table is unable to cope with the excess water and therefore remains above the ground. This should not be confused with puddles of water. Ground water must eventually flow under the influence of gravity to creeks, rivers, lakes or the ocean. Sometimes, excess ground water from recent rainfall can be observed leaking or streaming from hillsides or cracks in rock cliff faces. This situation is common around Sydney since it consists largely of sandstone. Certain observations indicate rain has been heavy. If soil has been eroded and deposited onto pathways or grass, rain must have been heavy. Flash flooding as well as swollen creeks also indicate very heavy rain usually within the past few hours or days. If you observe that the road was dry and the creek is flooded, this indicates that it may have rained heavy further upstream. Sometimes, flooding make take several hours, days or even weeks to occur downstream. Grass caught on fencing near creeks may indicate previous flooding but it may have occurred up to a few weeks earlier. If you are passing an area which receives snow during late spring or summer, then flooding may occur from melting snow. Landslides or mud slides indicate that very heavy rain has weakened the layers of soil supporting the side of a hill. Buildings built on such hills have been known to collapse with the soil removed from the foundations. Sometimes, roads collapse or are covered by mud and debris due to landslides or mud slides. Wind has the tendency to move loose objects such as leaves and dust, or break branches depending on the strength of the wind as discussed in the previous section. Therefore, if leaves have been deposited away from trees, or dust has been deposited on areas away from soil, then wind has occurred. It is important to distinguish between the effects of wind and water. Wind can deposit material anywhere whereas water travels downhill. If you observe an area where leaves and twigs have been stripped from the tree and not blown away, it is most probable that large hail has occurred. This can be backed up with evidence of roof damage to buildings, cars and broken windows. Hail may also damage crops and strip trees of bark with wind. Hail may also penetrate mud or wet soil and melt leaving holes. For some farmers, the effects of frost can be devastating. 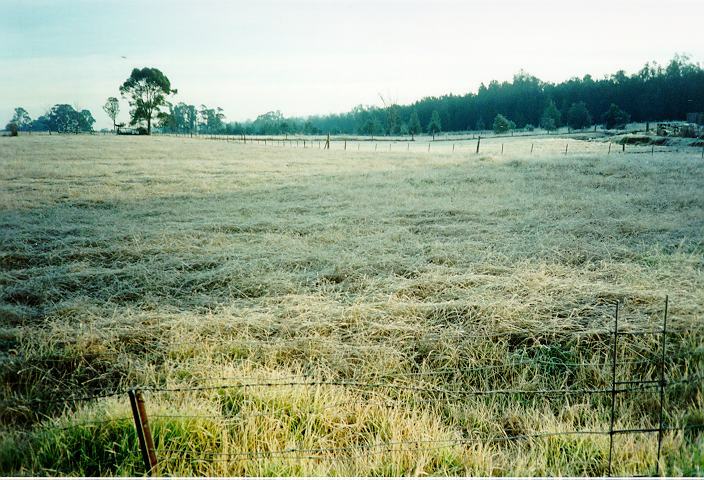 Certain crops planted during spring, or grass can die under the influence of frost. Other crops particularly fruit rely on a particular growing season of below freezing temperatures in order to produce fruit during the following summer. Therefore, it may be important to study the effects of frost conditions and how to notice such effects. Having discussed bush fires above, it may be useful to learn about areas that have experienced fires. In fact, certain observations may indicate that fires are still in progress. If you observe recently burnt twigs or ash passing overhead, it may indicate precipitation from the smoke of a major bush fire upwind. Blackened areas of forest indicate recent bush fires. The length of time from the event of the fire to the time of observation is indicated by the amount of regenerated growth on trees and new undergrowth. 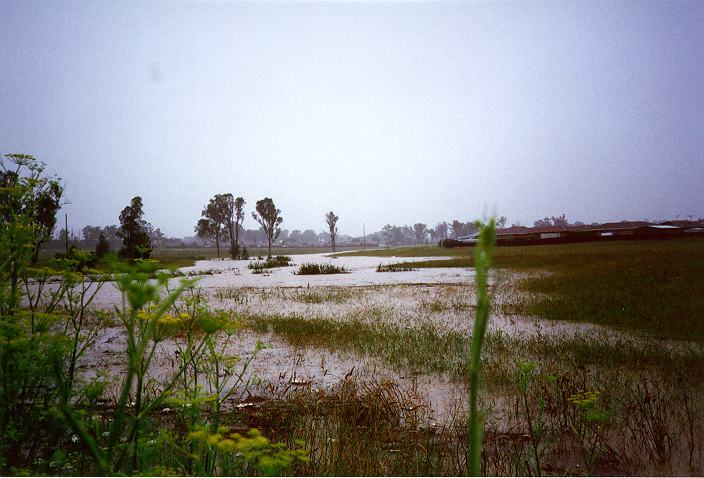 Precipitation increases the rate of regeneration. Therefore, until precipitation occurs, regeneration will be slow. It normally takes a few years for forests to fully regenerate although severe fires can permanently scar some forested areas. For more on hailstorms go to hailstorm forecasts.